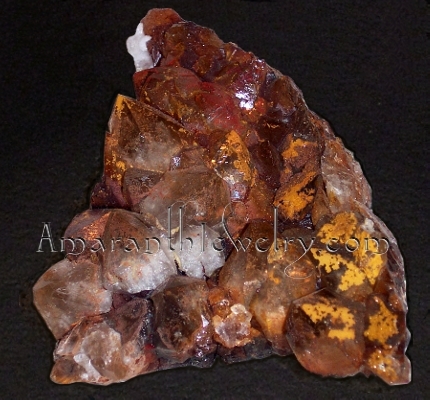 Smoky Quartz Elestial, 4 3/4" x 3 3/4"
Cabinet-size Smoky Quartz plate from La Union, Murcia, Spain. Lots of well-shaped, sharp points up to 25mm high, some with Hematite inclusions, others with iron oxide coating. 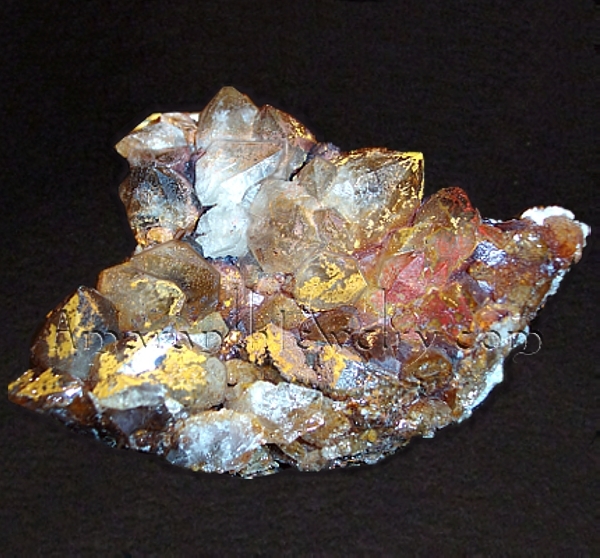 Reverse typical for a floater, with no matrix and lots of drusy and small crystals, even what looks like Blue Quartz in a couple of places (please see enlarged photo for details). Side has a nice grouping of Calcite crystals up to 8mm across. 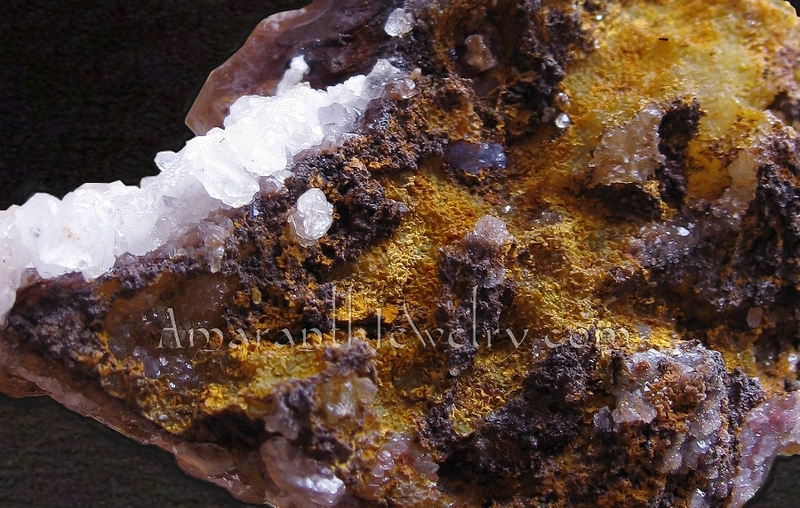 This amazing cluster has a mix of configurations: generator points, elestial, twin crystals. A great piece to view and discover! Metric size: 12.2cm x 9.7cm. Weight: 281 grams. Elestials are thought to be master healers that work on multiple levels, but - while supportive - they're not too gentle about it... One should be prepared to have deeper issues brought to the surface, and be open to the action/change that is required to resolve them. They are also believed to help build self-confidence and personal power (so keep yours for yourself!). Generators are believed to do just that - store and generate energy. They may be used to help recover from illness or to charge other stones or to send one's energy (with intent) where it may be needed. Natural Blue Quartz, mostly found in Brazil and Spain, is fairly rare and the color comes from the color of other minerals included in the quartz or from light reflecting off inclusions. It is usually found in massive form or tiny crystals, just like Rose Quartz!